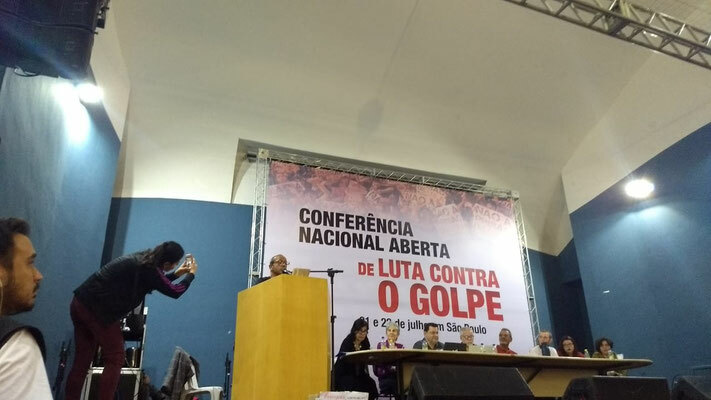 An important conference against the coup took place on the weekend 21 and 22 July in São Paulo in Brazil. 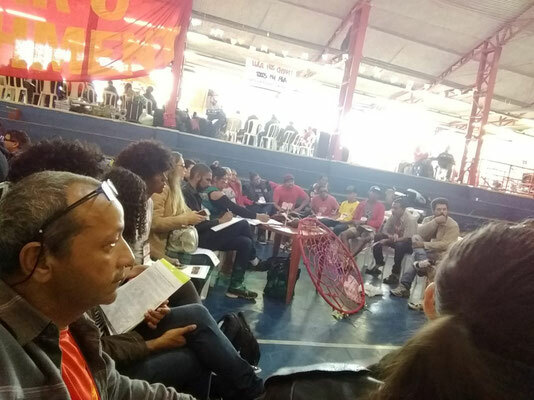 The conference was organized by the Partido da Causa Operária (PCO), one of the larger left-wing parties in Brazil. The PCO has a long record of warning and mobilizing against the coup – in opposite to the coward leadership of the reformist PT. 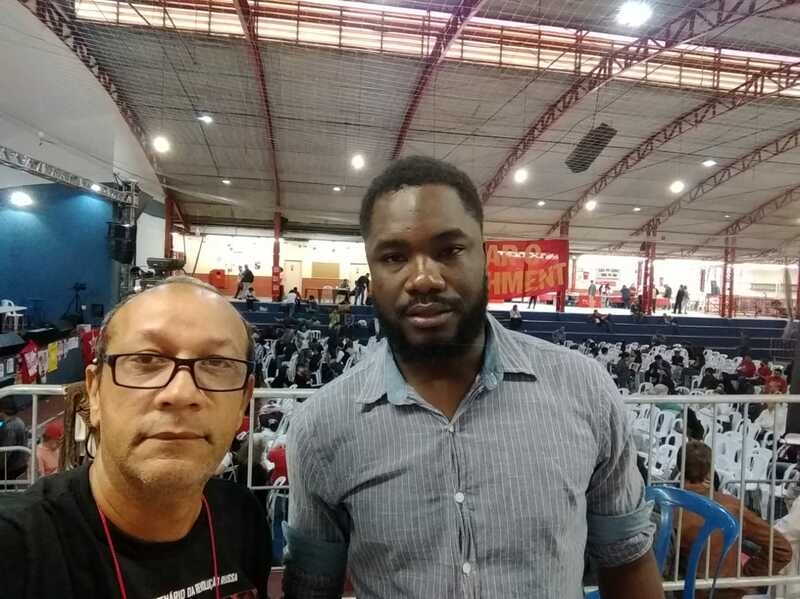 In this context the PCO could call a conference which was attended by important sectors from the PT and many anti-putschist activists from all over the country. All in all, about 700 people came. One of them was the current President of PT, Senadora Gleise Hoffmann. There were also many activists from numerous anti-coup committees from all over the country present. These committees often emerged at the initiative of the PCO but have a broad and multi-tendency composition. The conference was an important opportunity to unite these committees. Activists of the Corrente Comunista Revolucionária (CCR, Section of the RCIT in Brazil) participated in the conference. Comrade Joao Evangelista addressed the conference in a speech (see video below). The conference discussed about the next steps in organizing the resistance against the coup. There will be two important mobilizations. One of them will take place on 10 August. This will be a national mobilization against the government called by CUT and other trade unions (CTB, CGT, FORÇA SINDICAL, CONLUTAS, etc). 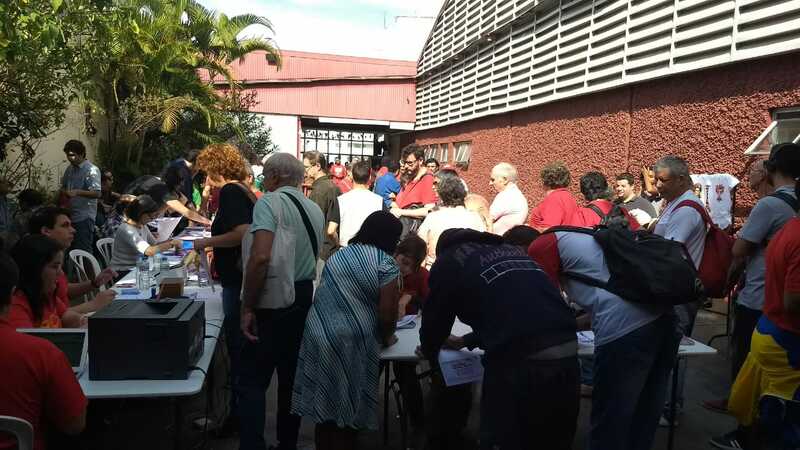 The second will take place on 15 August and will be a national mobilization to go to Brasilia for supporting the right of Lula to registration his candidature. The problem is that this 10 August is not a general strike but just a day of protest. 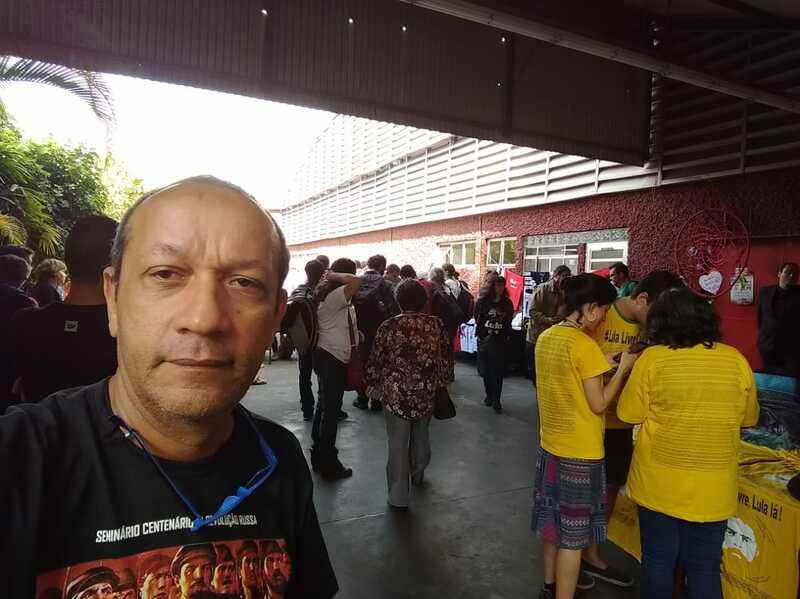 This is a result of the reformist tactics of the CUT leadership and their adaption to right-wing and “left-wing” forces which refuse opposing the coup (such “left-wing” organizations included like CONLUTAS associated with the pseudo-Trotskyist PSTU/LIT-CI as well as sectors of PSOL). 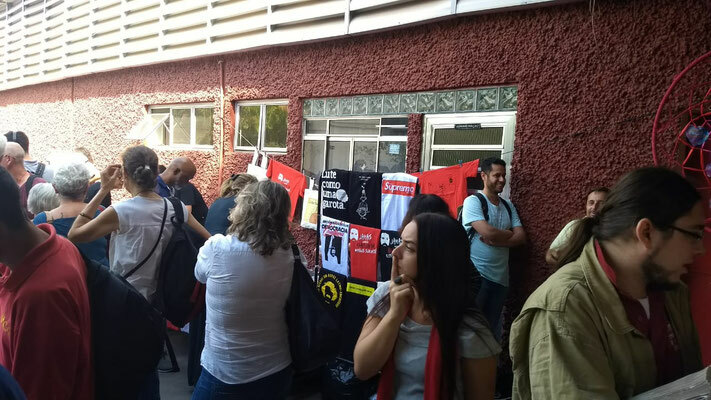 Many participants of the conference showed interest in the politics of our Brazil section and comrades of the CCR were able to sell more than 50 copies of our publications.